Before you sign the papers on your new Acura, you want to do all the research you can to make sure it’s the perfect fit. 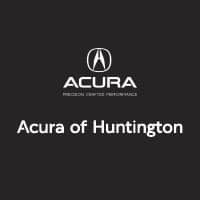 Our professionals at Acura of Huntington will gladly help you learn more about your potential new vehicle, and one of the best ways to determine it’s right for you is to take it for a test drive here at our Acura dealership serving Long Island. For the ultimate test drive experience, we encourage you to come by on a day when your schedule is clear and you can take your time. When you take a test drive, there are many factors to consider—quite a few of them taking place before you even put the car in drive. Once you get your seat and mirrors adjusted to your liking, acquaint yourself with the controls, infotainment system, and the cabin. Is there enough space? Do you need more cargo room? Are the back seats comfortable? Take your time discovering the features your vehicle may offer, such as cruise control or special driving modes, to determine if they are easy to use or even worth it. Drive around the block, on back roads, and on a highway if possible. You want to make sure you get a feel for the vehicle’s acceleration and braking and see if they’re on your comfort level. We definitely encourage our customers to take notes and photos, and maybe even go home to sleep on their decision the evening after the test drive, especially if they’re having a hard time deciding between two models. Text can only tell you so much—a test drive is the final factor in determining if a vehicle is the most optimal fit for you and your lifestyle. Our Acura financing team in Huntington Station, NY can’t wait to help you make your new car dreams come true.